 A week-long Induction Program was concluded with a great impact on new students of different streams at PDM University. During this program, the senior students welcomed and entertained the fresher’s for a new inning of their life at University campus. In totality, the motivational talks, special interactive sessions, guidance for career prospects, quiz and debate competitions, live cultural and musical performances and many more activities made such a amazing experience for fresher’s. 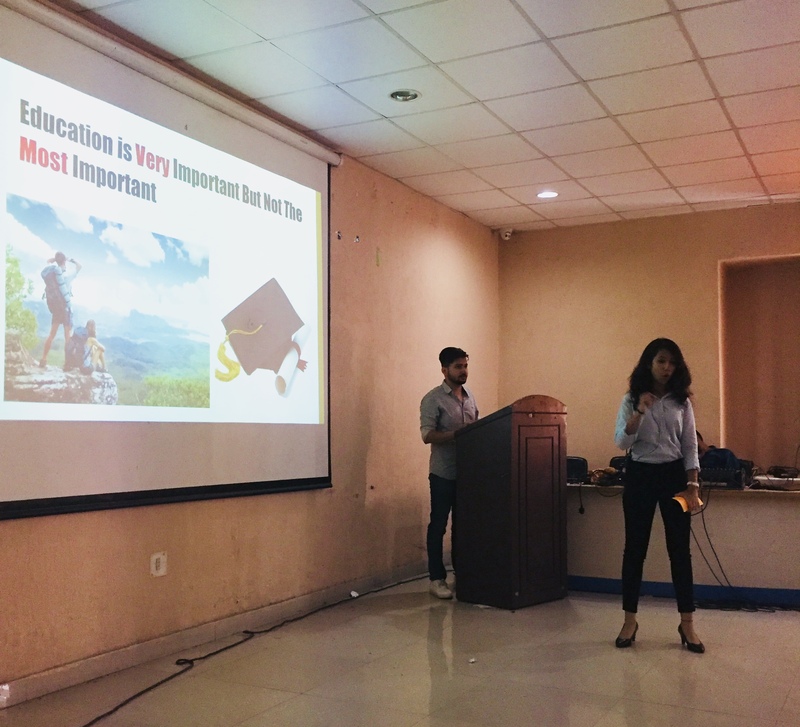 On the last day of Induction Program, motivational speaker Ms.Vidushi addressed the students on the topic “Life beyond Education”. She mentioned about how education can fulfill the basic necessities of a human being but does not guarantee a successful and happy life. She said that happiness is the key to true success and success is achieved by taking an extra step to self-exploration. She added that in order to become someone out if the ordinary crowd one should utilize life to the fullest by exploring every arena of life and reach their true potential. Afternoon, a very informative and entertaining Nukkad Natak was performed on topic ‘Drug Addiction’ by the students of pharmacy department. After this performance, the new students were then taken to their respective faculty blocks and were briefed about their respective course modules, examination schemes and educational activities. Kits (Bag and Dairy) were distributed to all fresher’s. The new students also got some time to have formal interaction with their seniors. A tour of the university campus was conducted also to provide all relevant and useful information to the new students. 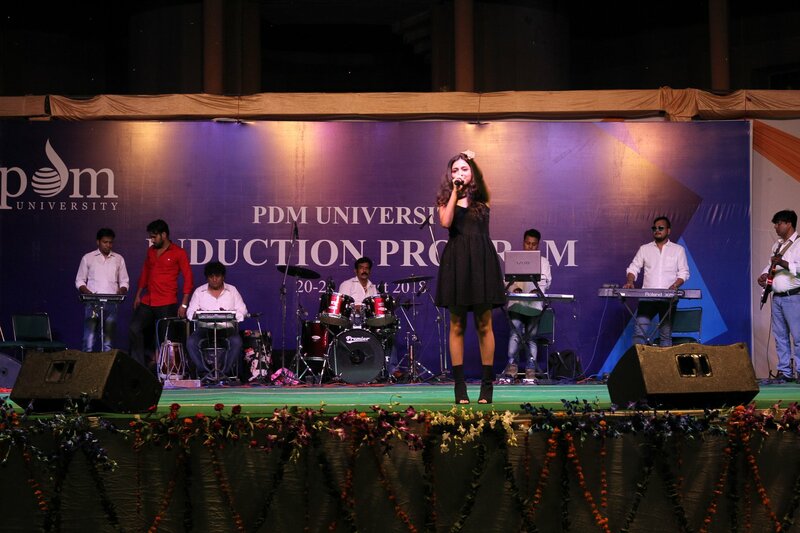 The Induction Program ended on 24th August at Amphitheatre of PDM University with fantastic performances in a live concert. 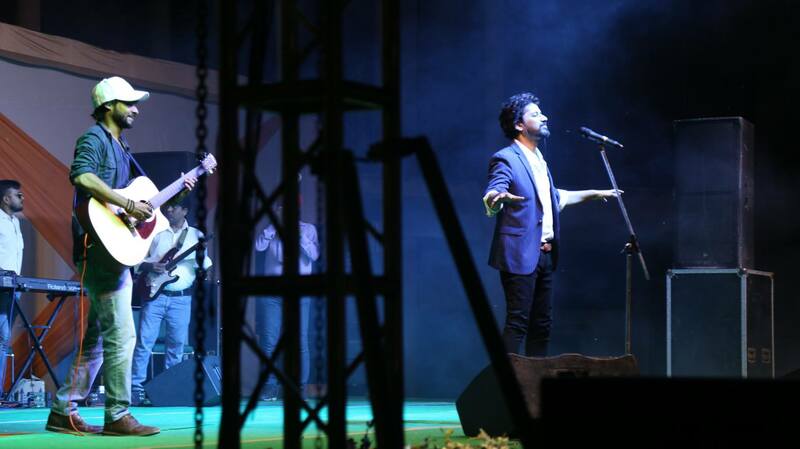 The live concert was full of excitement and all students enjoyed a lot with their dancing skills. The talented singers, Stuti Tiwari and Harish Moyal, performed with various melodious Bollywood and private album songs. On this occasion, all the teaching and non-teaching staffs and management officials including Vice Chancellor Prof. (Dr.) A.K. Bakhshi, Pro-Vice Chancellor Prof. (Dr.) R.C. Bhattacharjee and the Dean of different faculties were present.